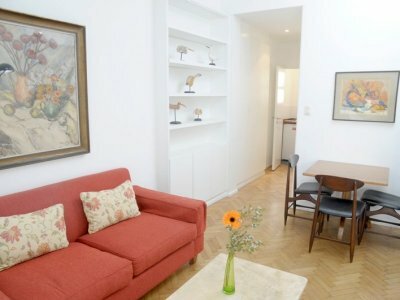 Located in one of the most historical, central, and stylish neighbourhoods in the city, this modern and newly restored studio apartment in Recoleta offer its residents a tranquil stay up on the 5th floor. 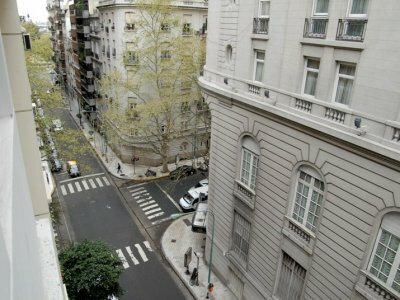 The studio’s building is directly across the street from the renowned 5-star Alvear Palace Hotel, a landmark in the Recoleta district, surrounded by first class shopping, international dining, cinemas, parks, and plazas, and only a few blocks to the world famous Recoleta Cemetery. 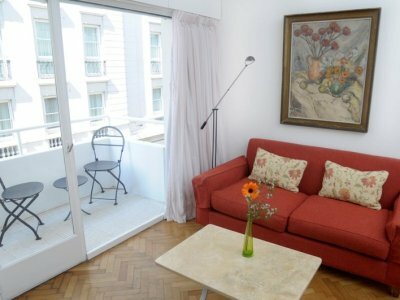 This studio faces towards the street, views of the city available from both the bedroom and living room, and access to the balcony, perfect to enjoy the Argentine sun. 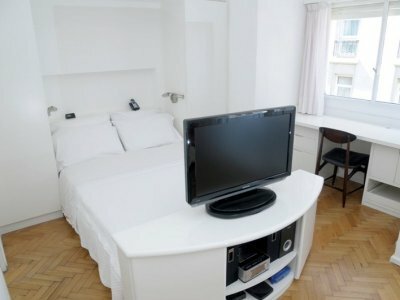 Situated in one of the most central residential areas of the city, this deluxe studio is perfect for one or two persons visiting, traveling, or living in beautiful Buenos Aires. 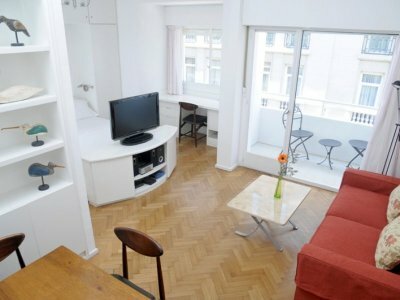 - LIVING AREA: Lovely two-seat sofa; coffee table; 32'' TV; two-seat dining table; entrance to balcony; beautiful wooden floors; air-conditioning; Wi-Fi internet access. 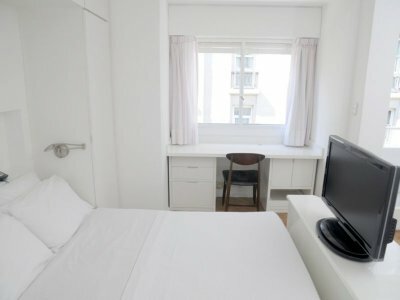 - BEDROOM AREA: Luxurious full size bed (1.40 m x 2.00 m) perfect for one or two people; work or reading table with chair; spacious closet with lots of room; air-conditioning; safe deposit box. - BATHROOM: Large shower/bathtub, plus cabinet. - KITCHENETTE: with small refrigerator (undercounter), two-burner electric stove, electric coffee maker, and kitchenware for two people. .
- BALCONY: Comfortable balcony facing the street with city view. 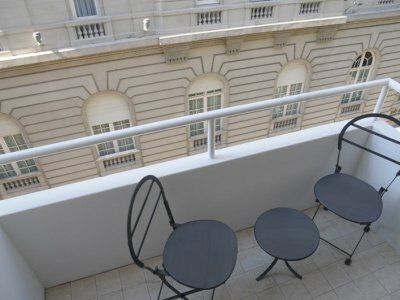 Balcony includes a small table and two chairs, perfect for relaxing in the sun. Fridge. Mircrowave. Electric coffee maker. These rates are final in USD; they include: building expenses, local phone calls (control line for limited local calls), cable TV, electricity, water, gas, Wi-Fi internet access, cleaning service once a week and taxes.